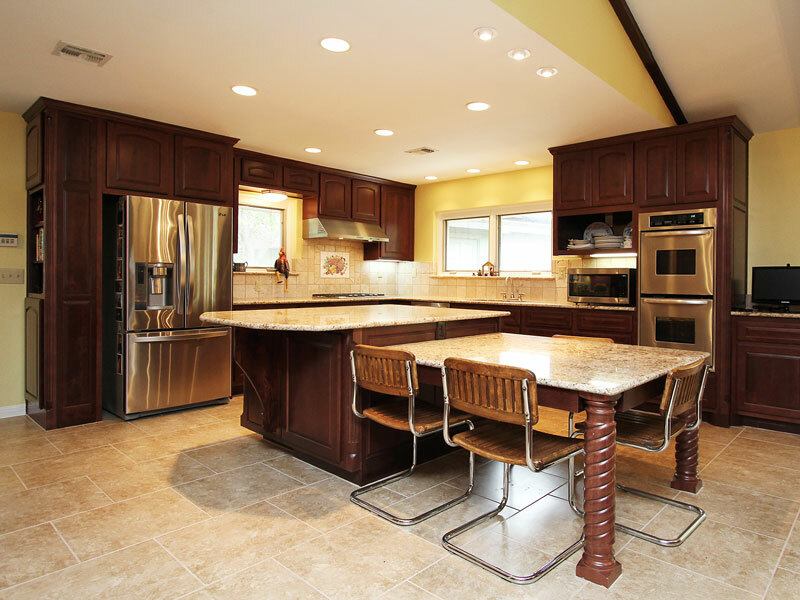 Completely gutted, redesigned and remodeled this kitchen, dining area and wet bar. 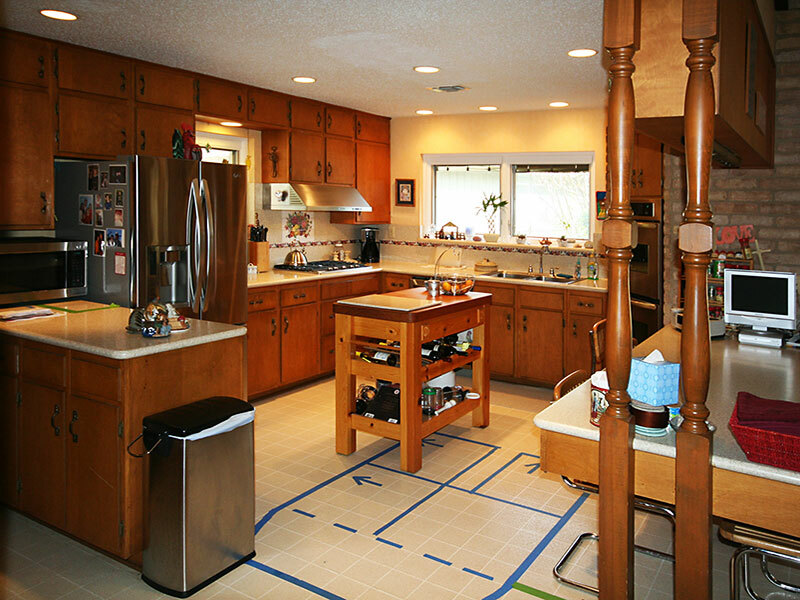 The new kitchen offers expanded work space, featuring a large, built-in island. New cabinetry was installed with high-quality, prefinished cabinets of the homeowners’ choosing, including under cabinet lighting, tile backsplash, and granite counter tops. All new plumbing fixtures were installed. The project was finished with new tile floors and re-textured, painted walls and ceiling.